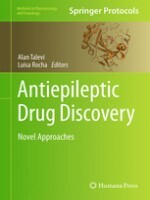 This thorough volume delves into antiepileptic drug discovery with a comprehensive collection of innovative approaches for the development of antiepileptic therapies, focusing on novel molecular targets for antiepileptic drugs, computer-aided approaches for the identification of new drug candidates, and therapeutic strategies to overcome refractory epilepsy. The last section illustrates the potential benefits that network pharmacology and rational drug repurposing could bring to the antiepileptic drug discovery community. Written for the Methods in Pharmacology and Toxicology series, chapters include the kind of detailed description and implementation advice to ensure results in the laboratory. Authoritative and practical, Antiepileptic Drug Discovery: Novel Approaches aims to provide medicinal chemists, pharmacologists, and other researchers with the tools need to further explore the study of pharmacoresistant epilepsy and the discovery of new antiepileptic drugs.